And they are not cats nor are they dogs. They are horses! 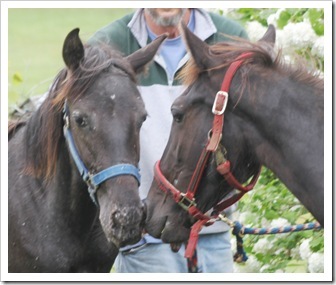 Yearlings to be specific, both males. Call us crazy, call us ten years old as an organization and maybe a change was in the wind. Let’s call it an adventure and see where it shall take us. It all started with an email, one like the many we get every day to the petsconnect email address. From all over the country we receive emails about so many animals in animal shelters desperate for help. Most often the animals face euthanasia. 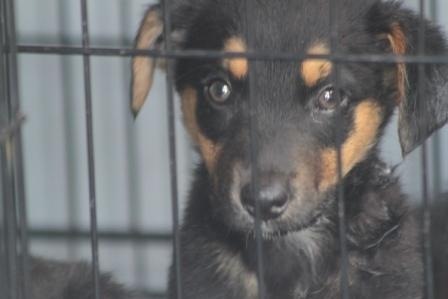 It’s a sad fact that our animal shelters across much of the country are simply too full. Decisions must be made based on lack of space. We become emotionally dull to these emails, even to those that include the photos of sad eyes. But there was this one email and I opened it and scrolled down all those photos of dogs and puppies in a small animal control facility serving five counties in the foothills of Kentucky. And there were these horses! Maybe it was that one too many cups of coffee that led me to follow up and see how other PetsConnect volunteers felt about adding a couple horses. 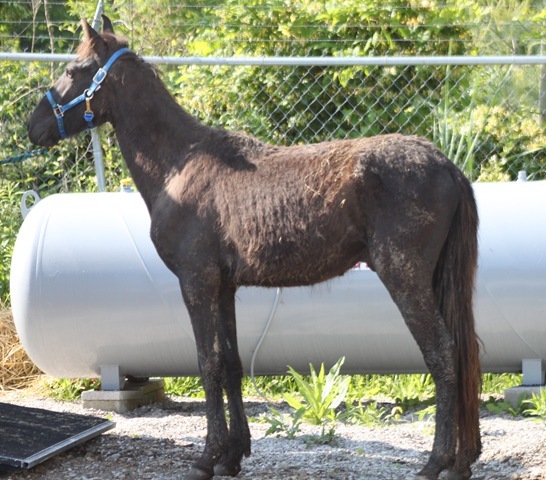 And it could be they were all so stunned by the thought or maybe as curious as I that we decided to follow up and see if there were really hoses in this shelter and if we could pull this off – fostering horses that is. 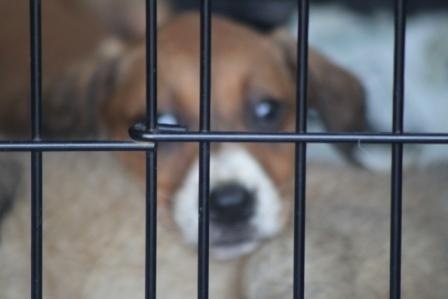 Monday morning I called the shelter and was told yes, two yearlings and they would be so grateful if we would take them and by the way, any way we can take puppies and a dog or more? Thus, the adventure of bringing the horses from Kentucky to Indiana/Michigan border. Health Certificates, blood tests were needed. 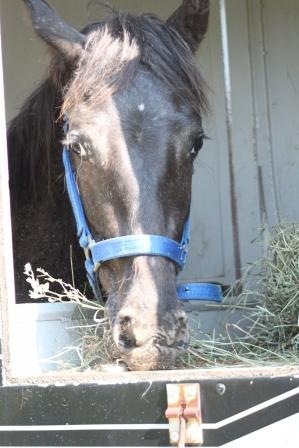 We were put in touch with a local vet, who for a very doable cost, fully vetted the horses on Wednesday! Thus began our trip to Kentucky in a big pick up truck and a large horse trailer. Not even going to talk about the costs of gas for this trip! We left on a Thursday night, arriving at the shelter Friday morning. Getting the horses into the horse trailer proved to be quite the mini-adventure! 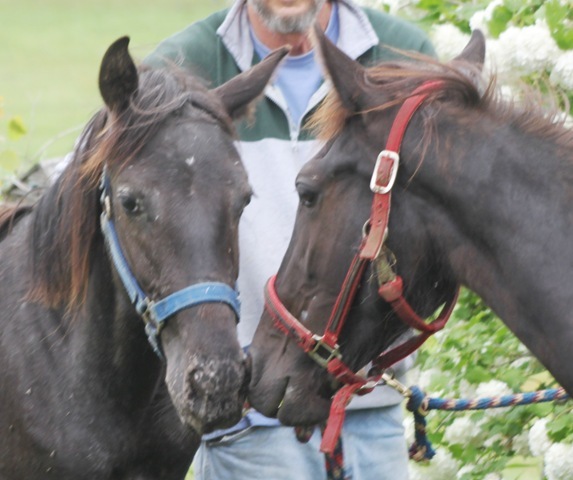 These are yearlings, left in a field with little hands on. First things first, Kelly had to back up the horse trailer down a stone driveway! Second, getting the horses loaded. They may be little but they are strong boys! Thankfully having just been gelded did help. Horses loaded – but not quite ready to go. This is an animal shelter with only about 25 kennels that serves five counties. They have a vet come in on Thursday mornings to euthanize all animals that came in prior to Wednesday unless they are owner surrender, then they go down too. By Friday noon they are already filling up! The sheer numbers of animals are exhausting. This small animal shelter relies on rescues and other animal shelters to help ease the burden of finding placement for so many dogs and puppies. We had committed to two litters of puppies so we loaded them up. And as they showed me other puppies that had come in just Thursday night and that very morning. It’s simply not possible to say no in situations such as these. So, we took another litter of puppies and three older puppies and at that point there was not a single space left to squeeze in another puppy or dog! The front of the horse trailer was loaded, we had two of the older puppies in wire crates in the back of the truck and the third older puppy rode up front with us. Thus began our journey homeward. Having never went on an adventure such as this, we were so unprepared to travel with so many puppies. We pulled over at one point, in what we thought was a secluded spot, opened the door to the front of the horse trailer and realized we had to clean up all those puppies! The mess was intolerable. While we are cleaning this all up, local animal control came to check us out, people were driving by and either yelling at us about taking puppies to the local shelter or wanting to know if their children could pet the puppies! The animal control officer was so nice! She helped us out by offering some cleaning supplies and explaining to passer bys as well as giving them a petsconnect business card! And that friends is quite an adventure that all started with a photo of two horses. PetsConnect! » Blog Archive » Let’s Build a Round Pen! Previous story The Amazing, Astounding, Astonishing Astra! Are you ready to add a furry friend to your family? Now is a great time! 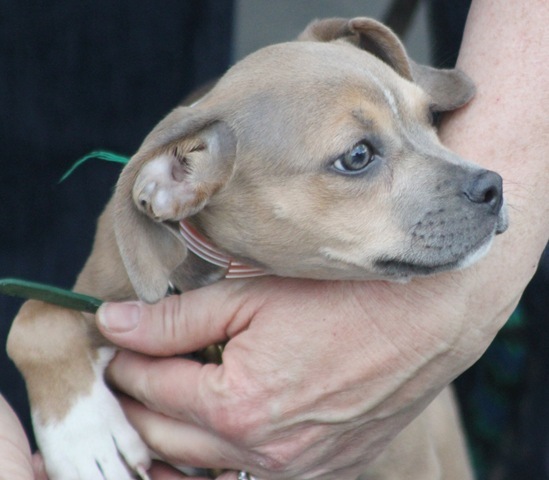 Click here to learn about our adoption process, how to meet animals, and upcoming events. If you are interested in an animal you see on the blog, please email petsconnect@petsconnect.org. Comments are not enabled on the blog. Want to lend a paw? PetsConnect! Inc. is always looking for volunteers who are able to make a regular commitment to our mission and the animals in our program. Click here to learn more on our website and submit a volunteer application.